A recent study by researchers at the Kavli Institute for Particle Physics and Cosmology (KIPAC) suggests that for every typical star in our galaxy, there may be up to 100,000 “nomad planets” not tied to any solar system. While these nomad planets don’t receive warmth from a star, researchers believe they may generate enough heat through internal radioactive decay and tectonic activity to support bacterial life. To arrive at what Strigari himself called “an astronomical number,” the KIPAC team took into account the known gravitational pull of the Milky Way galaxy, the amount of matter available to make such objects and how that matter might divvy itself up into objects ranging from the size of Pluto to larger than Jupiter. Not an easy task, considering no one is quite sure how these bodies form. According to Strigari, some were probably ejected from solar systems, but research indicates that not all of them could have formed in that fashion. 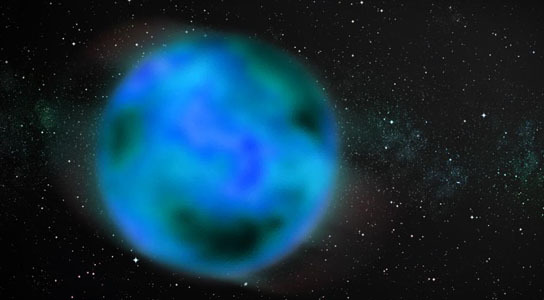 Be the first to comment on "KIPAC Study Suggests Large Number of “Nomad Planets”"